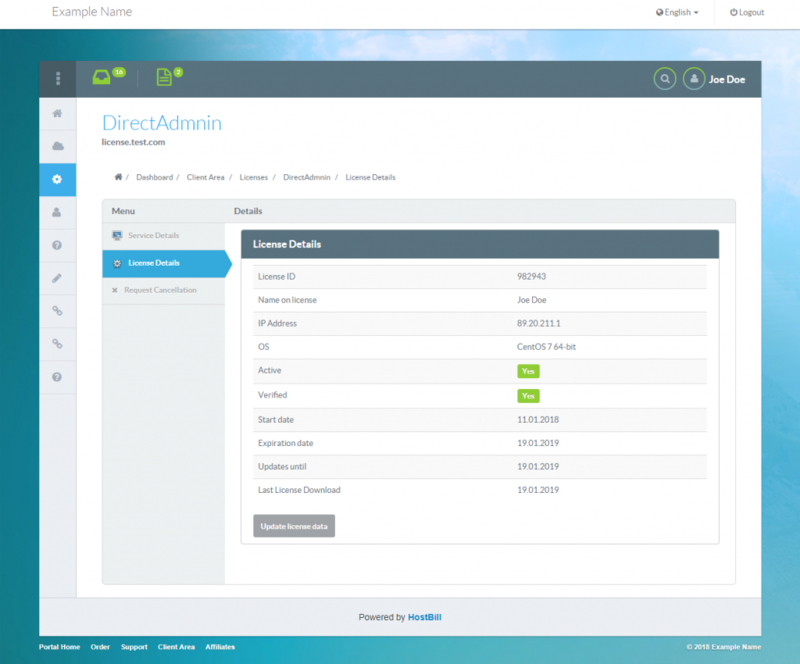 New Direct Admin Licenses module for HostBill is a perfect tool for reselling and managing DirectAdmin Licenses. Direct Admin is a powerful and easy to use web hosting control panel. With the new HostBill module you can become Direct Admin Licenses reseller! Thanks to HostBill automation features, you can save a lot of time and effort as the licenses are managed automatically. The automation covers license creation, suspensions, unsuspensions, terminations (if needed), downgrades and upgrades. Additionally you can also set license autorenew. Within HostBill client area your customers can not only to view license details/key but also change their license IP or license OS. From your HostBill admin area you can view and manage billing details, control the account lifecycle and decide which client area functions will be available for your customers. You can also manage licenses in bulk, which will also help you work more efficiently. 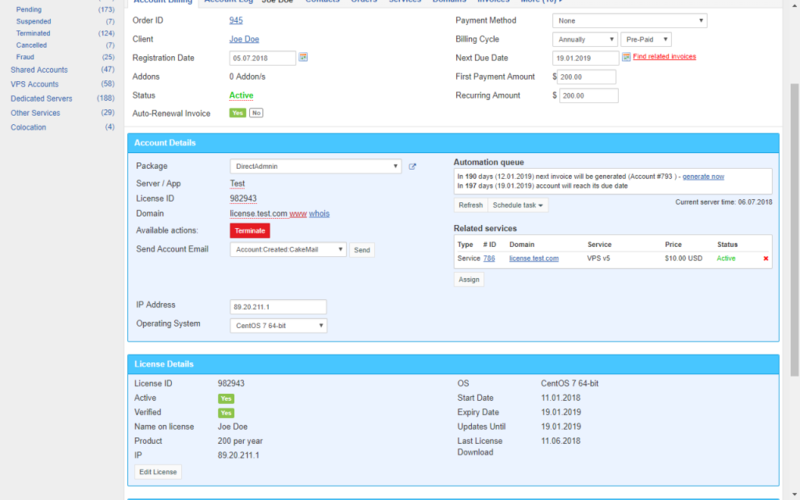 What’s more, the module allows to show license details in HostBill account details. If you’d like to find out more about the module’s features and pricing please visit this page. Summer Sale – new products added!